Genuine replacement nibs for the TWSBI Diamond mini fountain pen. A complete assembly of nib/feed/collar mounted in a transparent gripping section (sorry, other colours not yet available). 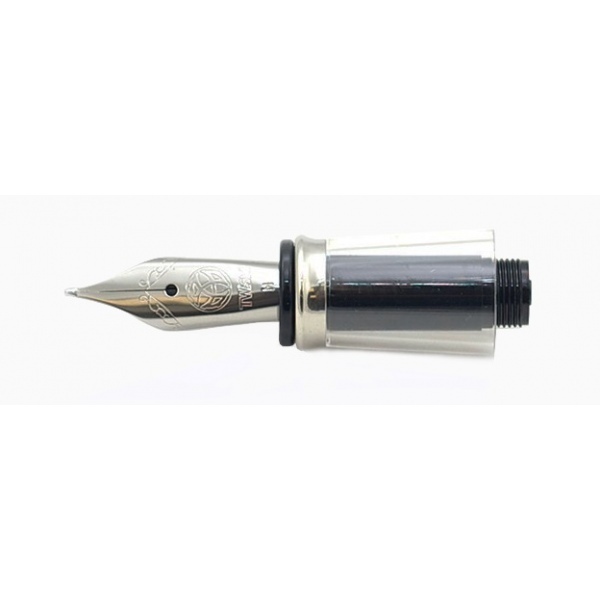 To replace the nib on your Diamond mini fountain pen, empty and clean the pen then unscrew the front section from the barrel. Replace with the new nib section and gently screw in until hand tight. Replace the original nib in the canister for safe keeping. If your pen has a coloured front section (ie not transparent) you will need to remove the nib from the section. This is very easy as it pulls straight out but make sure the o-ring stays with the nib/feed assembly. Follow the instructions provided with your pen. See our reference section for more details on TWSBI nibs.